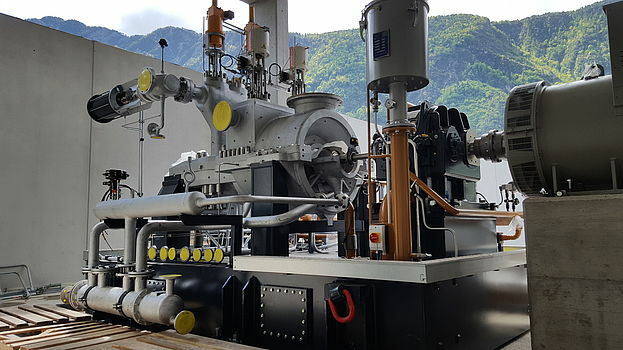 Our turbines can be fitted with steam take-offs for optimum process adaptation. In this respect we differentiate between a bleed and an extraction point. 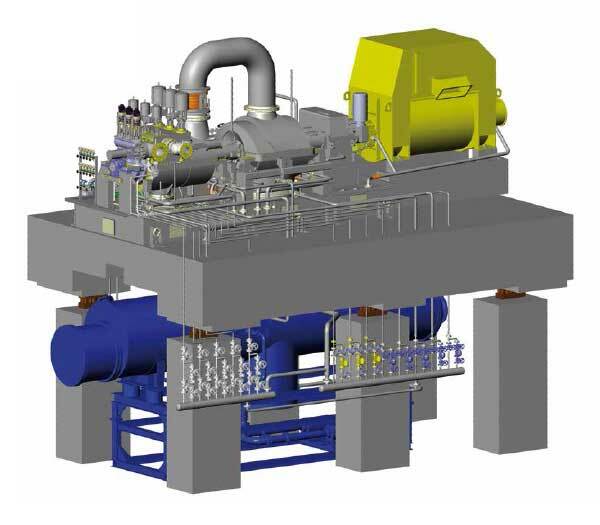 Steam take-offs enable an optimum integration of the steam turbine into your overall operating process. A bleed point is an economical solution for providing auxiliary steam quantities or small process steam quantities. To improve the partial load behaviour of the bleed connection, diverse bleed points are implemented which are deployed appropriate to the load (uncontrolled bleed points). If higher requirements are placed on the regulated medium or a load range, regulated extraction points can be deployed. 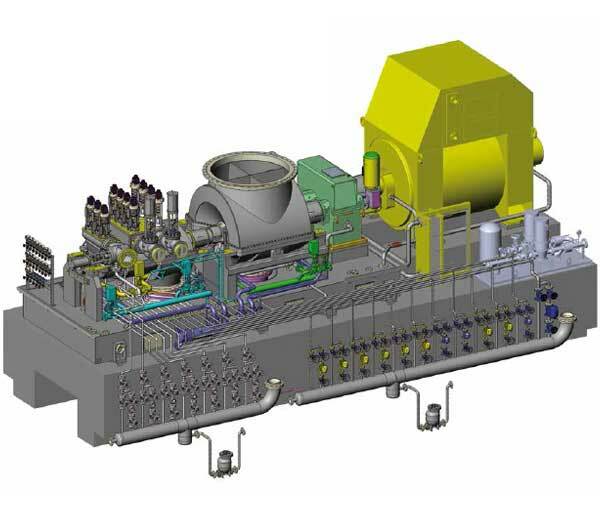 The extraction points are integrated into the turbines and can for the most part be freely combined with the most diverse turbine variants (back-pressure or condensing turbine respectively). We also provide you with the possibility of using bleed and extraction points simultaneously as well as the use of several extraction and bleed points.